Does your story get the Cleantech funding you want? Does it excite an investor? Successful funding starts with writing a well crafted message. 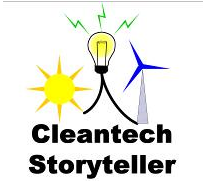 Cleantech Storytelling provides writing services for both Cleantech entrepreneurs seeking funding and investors looking for good ROI. For entrepreneurs, to get your funding, you need a complete tool set to make sure your message is powerful and succinct. I work on getting that initial or follow-on funding with a great story and business plan. For investors, I work with your companies of interest to strengthen their message and business plan to make sure there are no questions or hesitancy in supporting initial or follow-on funding requests. Your Return on Investment (ROI) in me is paid back by my diverse technology background combined with my market focus. I take Cleantech technology and translate it into investment language you can use to make key investment decisions. Your Investment Premise — Why is your idea or concept a good one for Cleantech? What does it have to do with Cleantech? Grab the reader by the throat and bring them in with a fantastic hook. This section will be the foundation for an elevator pitch. The Problem — What are you trying to solve and why is it important to Cleantech? Your Solution — Why is it better than anything else out there or even more important, what makes it unique or attractive to an investor? Your Target Market — Who's going to buy it and why? Do you have a believable pricing plan? Your Competition—Who else is doing the same or similar thing? Why do you think your idea is more profitable or better than theirs? Will your market think so? The Numbers — What financial resources do you already have? How much more do you need to succeed AND return on investment? How long will it take you? Your Team — Who are your all-stars? It's OK if you need to add someone later to the team, but you need to have some strength to start with. · Risk Mitigation in Market, Technology, Management & Finance, etc. All three stages are required to get the final funding approval and can be done in one effort to be consistent. The primary need for storytelling services in Cleantech is ensuring well crafted documentation to secure funding. · Elevator pitch(s) - 30 second, easy-to-remember content in terms any non-techie can understand. Can be easily changed on the fly to fit the audience, i.e., investors, potential customers, Grandma, etc. · 1-2 page Executive Summary - covers all the key points needed to explain the funding need at a high level. To develop your story, I follow an proven process that gets the information identified quickly and comprehensively, with minimal pain on your part. Then I take that raw information and mold it into a business plan that speaks to the investor in language they need. I’ll go through a couple of reviews and changes until you are completely satisfied. From this plan, I’ll generate the elevator pitch and the executive summary. As an experienced Toastmaster, I can also prepare the presentation you use at Investor Forums or I can even give the presentation for you. Later on, after you have received the funding, I can develop the support documents detailed on the Storytelling Services page.